Oftentimes a gym session leads to errands around town, so having an outfit that works for both a workout class and a street style look can come in handy. 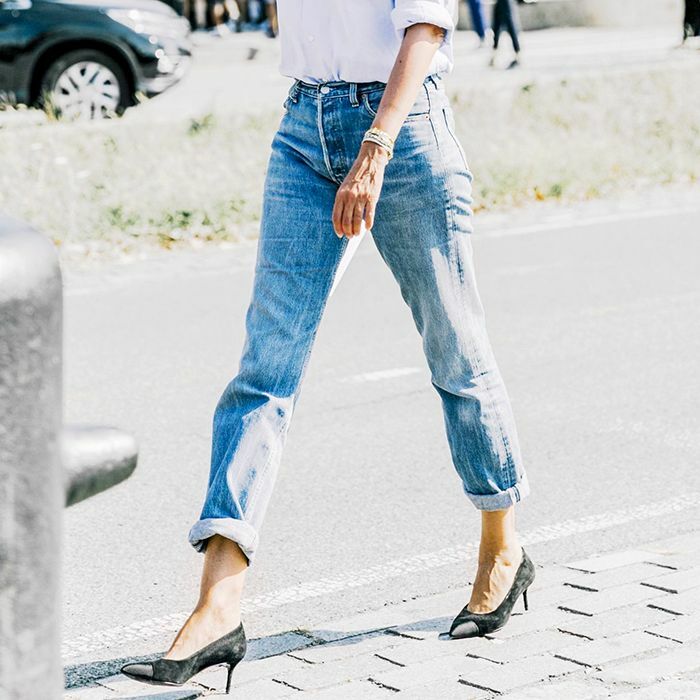 To find out how fashion girls tackle this trend, we dug through their photos to see exactly how they're pulling it off. And what is the ultimate gym-to-street athleisure style? It turns out that sweatshirts with pockets are in every stylish girl’s gym bag. We might have Vetements to thank for this. After recent collaborations with Champion and Juicy Couture, hoodies earned back a place among the street style set. Other brands were quick to follow suit, and there are now a lot of cool options to wear everywhere from your morning boxing class to lunch with friends. A few key pieces—like a pair of furry slides and a leather jacket—make the look transition. Keep reading to see how fashion girls are wearing their hoodies, and then shop our favorites. Throw a slouchy hoodie over black leggings, an easy outfit for the gym. Take a styling note from model Doutzen Kroes, and opt for a cropped cut. You can't go wrong with a classic style from Adidas. For the street, try wearing the look with furry slides. A head-to-toe monochrome look is always flattering. A hoodie is the perfect layering piece. Wear yours underneath a leather jacket. Style this sweatshirt with denim and white sneakers. Add this to your gym bag. Fashion girls wear a cropped sweatshirt with leggings to the gym. Layer this sweatshirt with an oversize parka for winter. Upgrade your sweatshirt with chic jewelry. Add patches to your jackets for a personal flair. For a fashion-forward dinner outfit, wear this sweatshirt with white trousers. Mesh material is crucial for working out. A neutral-colored hoodie is a great everyday staple. A major part of the athleisure trend is graphic detail. Bella Hadid would pair this sweatshirt with black leggings. A colored hoodie adds a pop of color to your workout outfit. This sweatshirt can easily be worn on the street or to the gym. Style this hoodie with cat-eye sunnies, vintage denim, and white sneakers. Elevate this oversize hoodie with leather pants and heels. You'll see this classic brand everywhere in the athleisure trend. A monochrome sweatshirt can easily be layered under a leather jacket as a daily casual look. For a minimalist look, wear a chunky sweatshirt with modern pointed shoes. You can't go wrong with a classic Adidas sweatshirt. Pair this deep turquoise sweatshirt with black leggings and sneakers for the gym. Next, read about the outfit every fashion girl wears to the gym.